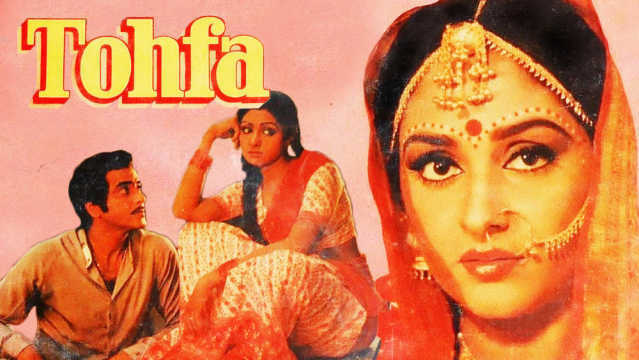 Director K Raghavendra Rao's Tohfa (1984) was a remake of his own Telugu hit Devatha (1982). Tohfa begins with the visual of a burning candle as narrator Kader Khan spells out that this is the story of a selfless lady who was born to serve others, even at the cost of her own dreams. The camera then shows siblings Janaki (Jaya Prada) and Lalita (Sridevi). They are orphans, but Janaki is like a mother to her younger sister. A domestic help, she is ready to sacrifice her dreams for Lalita. All she wants is for her sister to complete her education and find a good job and — in keeping with the era — a groom. Despite being an orphan, Lalita grows up a pampered child. Yet, in the end it's not Janaki but Lalita who turns out to be the selfless one in this drama. With Tohfa completing 35 years (it was released on 3 February 1984), we revisit the love triangle that became a big hit. Tohfa was produced by D Ramanaidu. Lalita and lawyer Ram (Jeetendra) are madly in love, but once she learns that Ram's mother has picked Janaki for her son, Lalita sacrifices her love, fearing that her sister will be torn if she learns the truth. Janaki works as a domestic help in Ram's house for long and has great affection for the lawyer. For all that her older sister has done for her, Lalita sacrifices her love as a tohfa (gift) and gets instead into a hush-hush marriage with the sleazy Kamesh (Shakti Kapoor). It seems bizarre, but as the story unfolds you understand why Lalita took this outrageous decision. 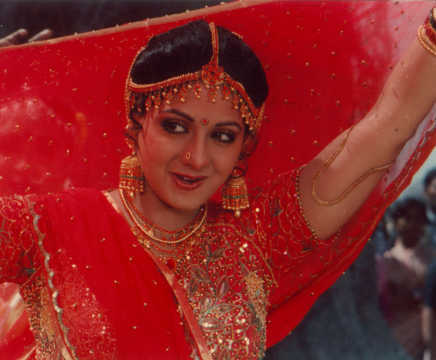 Sridevi and Jaya Prada had played the same roles in the Telugu film Devatha, and reproduced their characters for Tohfa. Jaya Prada was an established name by the time this film came out while Sridevi was a rising star. While both had worked together in Southern and the odd Hindi film, Tohfa was their first big successful collaboration in Hindi cinema. Though Raghavendra Rao helmed the remake, Tohfa had the classic Kader Khan touch to it. 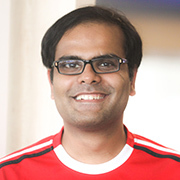 Khan, who passed away on 31 December 2018 in Canada, was a champion at writing screenplays and dialogues for formulaic films, Tohfa was another gift from him to the masses brought up on formulaic fare. Khan's stories often had just two types of characters — the righteous and the immoral. His protagonists were men/women of high moral values, caring and godfearing. They often spoke the right things and wanted to preserve their culture. No one epitomized this better than the traditional Janaki and the righteous Ram (Jeetendra), a man of justice. At the opposite end of the scale was Kamesh, a crook of the worst kind. Tohfa had its moments of melodrama. Melodramatic dialogues and a sad background score changed the way a tearjerker moment would affect the viewer. Tears seemed to come naturally to Jaya Prada while Sridevi soaked in the emotion. Despite the many sorrows in her life, her character does not let emotion get the better of her. It is remarkable that until the fateful day when she sacrifices her love, Lalita is a sprightly and daring girl. The very next moment there is a marked change in her personality. Tohfa was perhaps an underrated performance by the late actress. While Jeetendra had a charm of his own, he went a little overboard in his act. Caught in the tragedy of the siblings, Ram tries to help Lalita out, but in vain. He expresses his sense of helplessness in a melodramatic style. Ram, Lalita and Janaki were the more traditional characters of their times, but it was Kamesh whom audiences seemed to love. 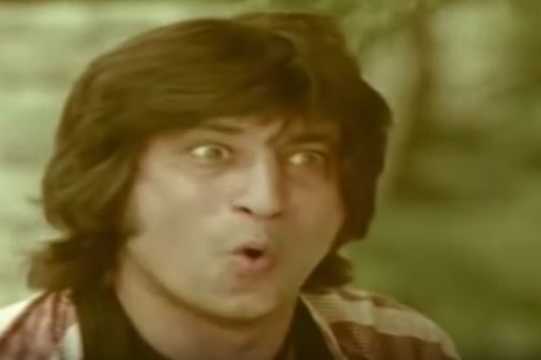 Shakti Kapoor's act, especially his 'Aaoo Lalita', was memorable. He shamelessly, almost fearlessly, stalked women, teased them, and after each corny line, had the gumption to ask, 'Kaisa laga mera yeh dialogue [What did you think of this dialogue]?' Kamesh seemed to be under the mistaken impression that all the women in the village were Gopis and he their Kanhaiya. Veteran comedian Jagdeep, who played Ram's colleague, was the other humorous character in the film. The masala entertainer had some memorable tracks scored by Bappi Lahiri with lyrics by Indivar. Legends like Kishore Kumar, Lata Mangeshkar, Asha Bhosle and SP Balasubrahmanyam lent their voices to the songs. Most popular was the title track 'Pyar Ka Tohfa', sung by Kishore Kumar and Bhosle. However, Tohfa is also remembered for the quirky and flirtatious 'Ek Aankh Marun Toh' number, sung by the duo. Tohfa also had two instances of integrated advertising as Lalita proudly promotes a toothpaste (Colgate) and a soap brand (Lyril) in two scenes. Raghavendra Rao also undertook extensive outdoor marketing, putting up huge billboards and cutouts for the film's publicity before its release. All the efforts paid off, as Tohfa was the highest grossing film of the year making Rs9 crore at box office.